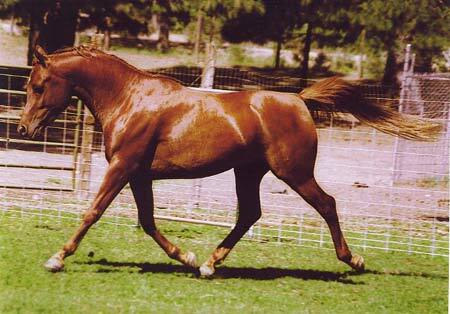 Tinker is the exotic and correct son of El Hadiyyah out of our foundation mare RA Jehan. His pedigree is filled with Class A and National Champions. Tinker is also pictured In Judith Forbis’ book Authentic Arabian Bloodstock II and the Pyramid Society’s Reference Handbook of Straight Egyptian Horses Volume X. 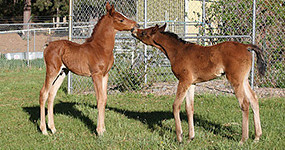 We believe this will confer honor, prestige and value to his foals. Tinker’s sire, El Hadiyyah, has champion get around the world. 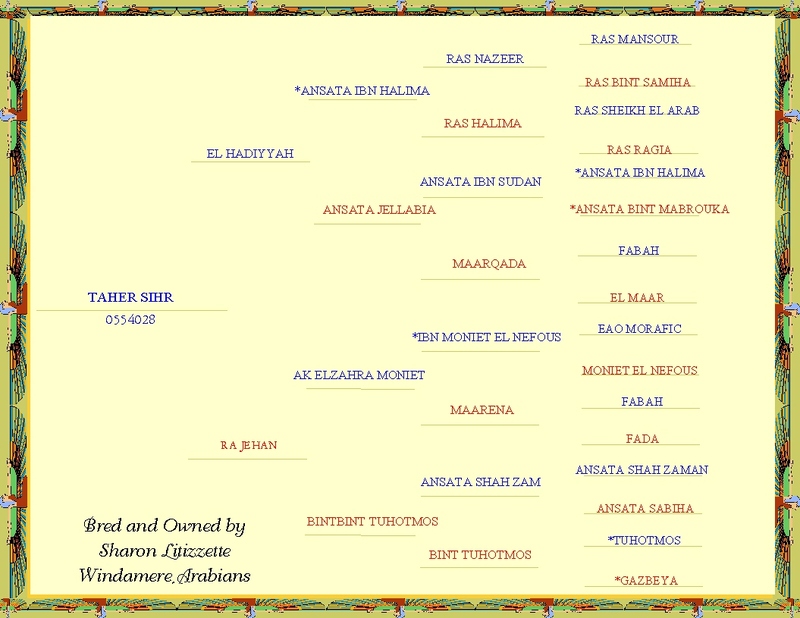 He is one of the last living sons of Ansata Ibn Halima and out of a daughter of National Champion Stallion, Ansata Ibn Sudan. Tinker is out of RA Jehan, our foundation broodmare, who was a daughter of the multi national champion in halter and performance, AK Elzahra Moniet. 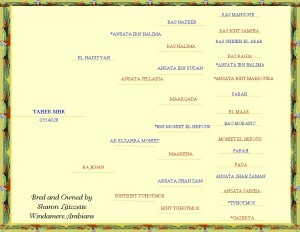 Her tail female was Bint Tuhotmos with a Dahma Shahwaniyah strain. 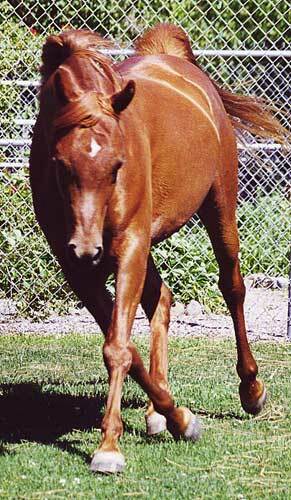 Tinker is glowing, copper chestnut like his maternal grandsire. 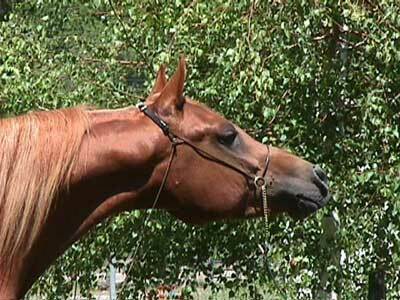 He was shown lightly at halter as a yearling and was never lower than top five. He was third in the prestigious Egyptian Breeders Challenge at the Egyptian Event as a yearling. He is lovely, balanced, moves with beautiful extension and power and is extremely exotic. He passes on all his best attributes including an absolutely kind and loving temperament to his wonderful sons and daughters.